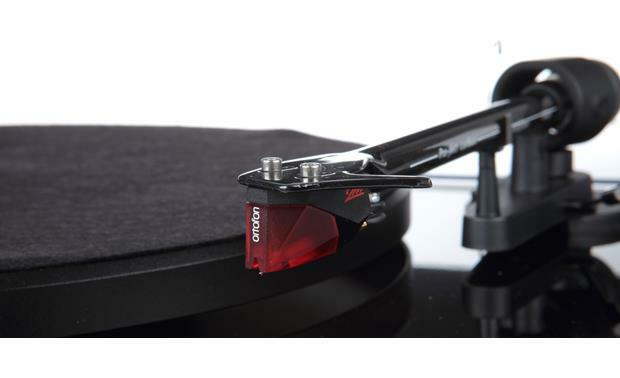 By itself, the Pro-Ject Debut Carbon garners extravagant praise from our customers. This bundle makes it even better. 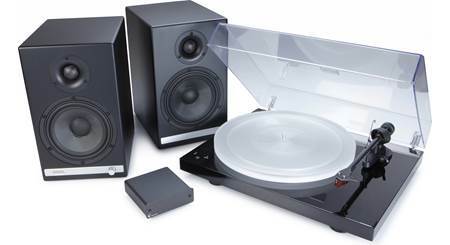 By itself, the Pro-Ject Debut Carbon garners extravagant praise from our customers. 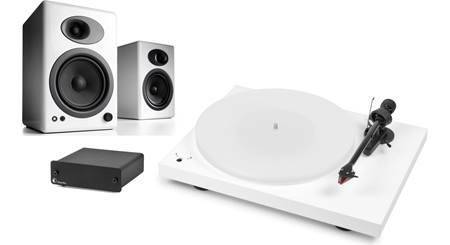 We wanted to make it accessible to anyone — even vinyl newbies — so we've packaged the sleek turntable with Pro-Ject's compact Phono Box DC preamplifier and a pair of excellent Audioengine HD3 desktop powered speakers. 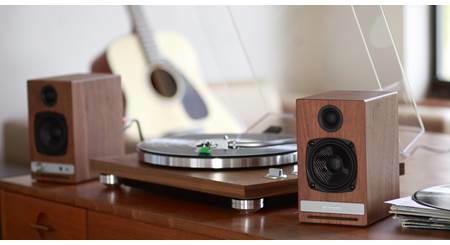 Take a few minutes to connect these three parts, and you'll be enjoying the rich, warm sound of your favorite records for years to come. 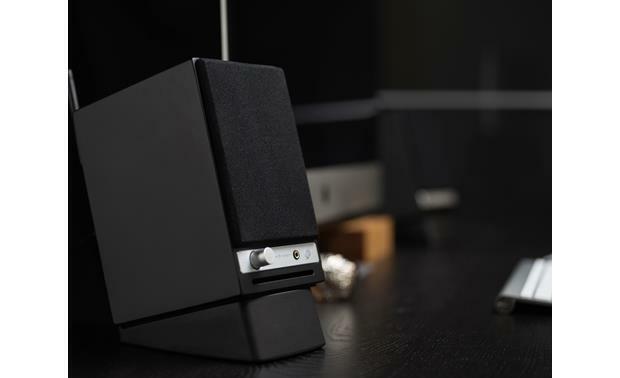 Included Audioengine HD3 speakers offer analog and digital connections, plus Bluetooth for wireless streaming. 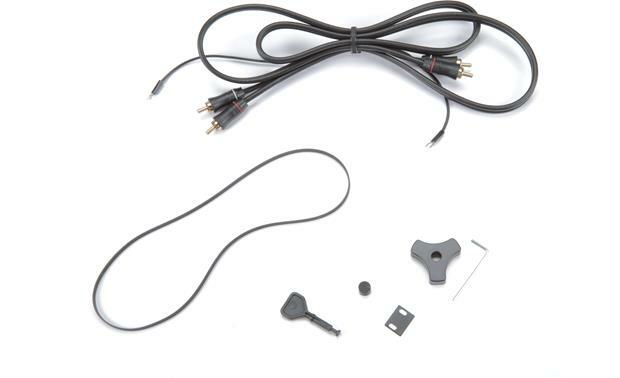 Audioengine HD3 speakers don't take up much space, and they offer a convenient stereo RCA connection on the back of the left-hand speaker for connecting the output of the TEAC turntable. 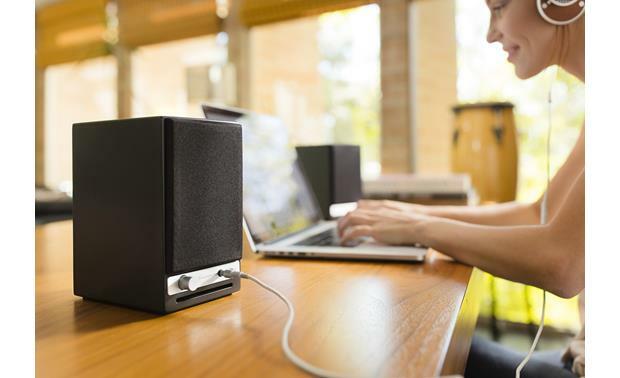 Two 30-watt amplifiers power the speakers, so you can share your favorite tracks. 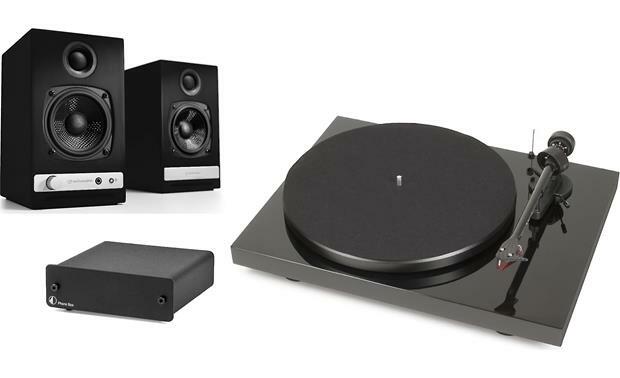 The Audioengine / Pro-Ject bundle consists of the Audioengine HD3 powered speakers with the Pro-Ject Debut Carbon DC turntable (black) and Pro-Ject Phono Box (all individually packaged). 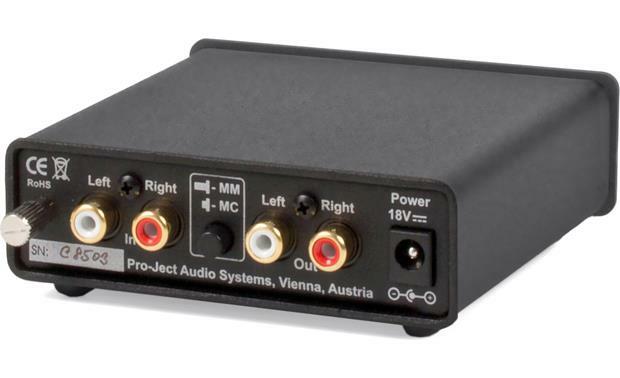 Note: If your receiver does not have a suitable Phono MM input, a separate phono pre-amplifier, such as the Pro-Ject Phono Box, is required to connect the turntable to your amplifier. Dimensions: Width 16.375" Height 4.6875" (14.625" with dust cover raised), Depth 13.125" (15.75" with dust cover raised). 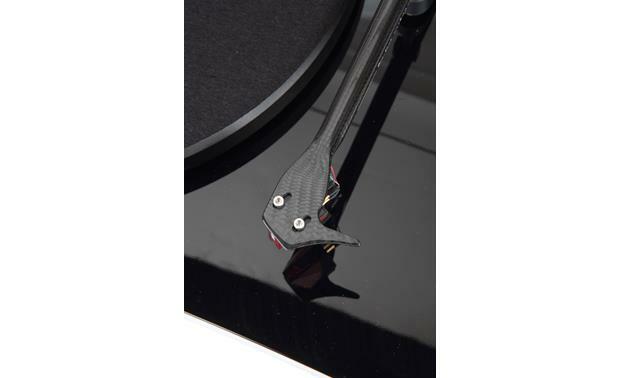 Warranty: The Pro-Ject Debut Carbon turntable carries a 2-year warranty, while the supplied cartridge has a 1-year warranty. Warranty: The Pro-Ject Phono Box turntable carries a 2-year warranty. 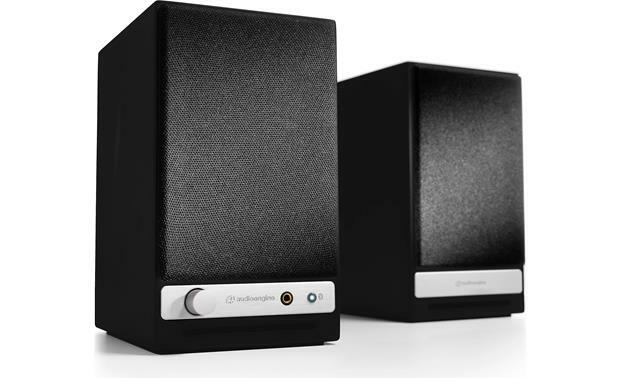 Audioengine HD3 Powered Speakers: The Audioengine's HD3's speaker cabinets, drivers, innovative bass port design, amplifier, and passive crossover network are critically tuned together, providing a more efficient system requiring less power than passive speakers and external amplifiers. 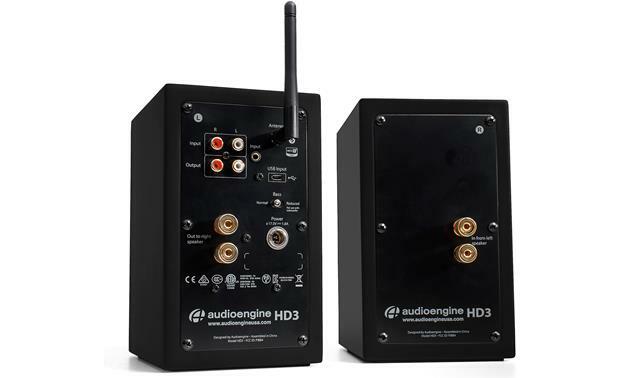 The HD3 is not a "box-built" system with off-the-shelf parts, but includes custom-designed components constructed to Audioengine's specifications for high quality, high performance sound. Dimensions: Width 4.25", Height 7", Depth 7.25", Weight 4 pounds. 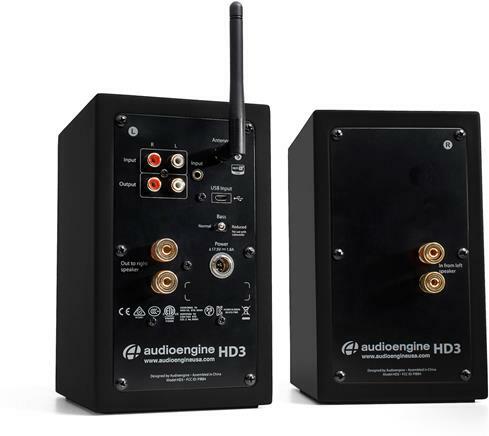 Warranty: The Audioengine HD3 is covered by a 3-year warranty. 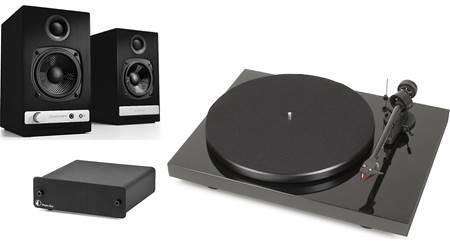 Searches related to the Audioengine HD3/Pro-Ject Debut Carbon/Phono Box DC Bundle Versatile desktop record-playing system with separate phono preamp and Bluetooth®.